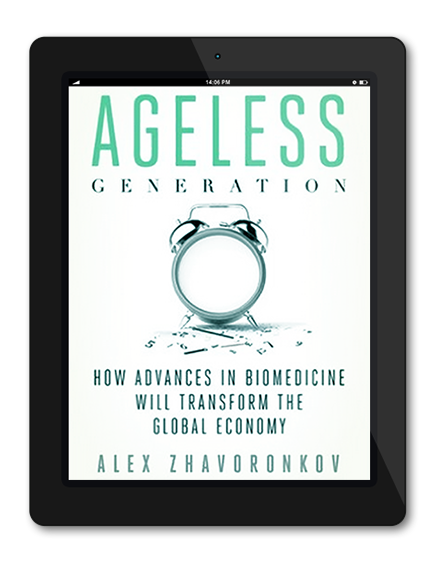 The director of the BGRF wrote a book on the recent advances in biomedical research with potential to expand human life and health span and the possible effects of these technologies on the economies of the developed countries. The book will be published on the 2nd of July, 2013 by Palgrave Macmillan. Dr. Zhavoronkov has pledged to donate the expected royalty proceeds to ageing research. The director of the BGRF wrote a book on the recent advances in biomedical research with potential to expand human life and health span and the possible effects of these technologies on the economies of the developed countries. The book will be published on the 2nd of July, 2013 by Palgrave Macmillan. Dr. Zhavoronkov has pledged to donate the expected royalty proceeds to ageing research.